Sorting true friends from false friends never ends, but the teen years are pivotal as too many teens set aside “not with it” childhood friends. Lucky the teen who is one of the “in-crowd” or so it seems. Sad the teen who is not. Sadder still the teen who gets betrayed by a childhood friend seeking easy popularity. Saddest: the teens who commit suicide, bodily or emotionally, when a friend betrays. How can parents help? In many ways, but mostly by coding reality as the child grows. Also by teaching self-soothing skills when reality, particularly about friends and friendships leads to hurt. 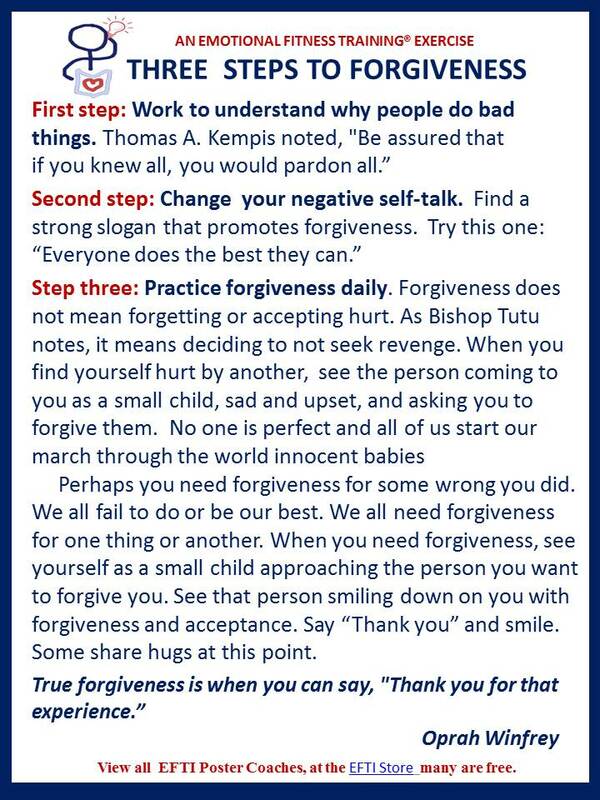 Thinking about what matters, and to practicing forgiveness help all cope with betrayal. Tip one: Learning to see what is real and what is not develops over time. Be patient. Pre-school when fantasy rules – a child’s feelings, hopes, and wishes determine what the child thinks is real. That is why toys talk, Santa really comes down the chimney even when the child’s house has no fireplace. Preteen when concrete thinking rules and the child can talk more about what is make believe and what is real. Thought, however, is sill limited to what the child experiences directly. Moreover, the child at this stage mostly thinks in terms of one or two options. The teen years when the ability to think broadly and like a scientist emerges. Instead of just one or two options, an abstract teen can think of endless variations and possibilities. This is called abstract or critical thinking. Tip three: Parents can help by labeling the difference between fact and fancy at every age. No need to make a big deal about this. Just saying “Fact” or Fantasy” starts the process. Sometimes with things like Angels and Prayers, “Hope” in its many forms is a better choice of words. Think of planting acorns. They have to be planted, but take years to grow. ccept all answers as true, they are at the moment. You can also present alternative explanations if you wish. Tip five: Know what blocks critical thinking. Age and stage is one block, but two other things hold people back from thinking more broadly about what matters. The first is trauma which is why safety matters as does knowing how to help a child deal with pain and hurt. The second is being surrounded by people who insist you think as they do. Wise parents realize teens need to think independently. 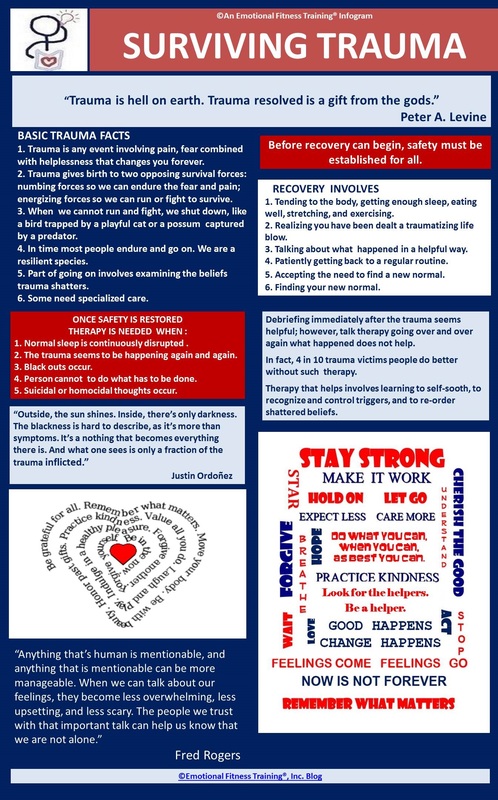 The first is an infogram abut trauma and how to help anyway stay strong when bad things happen. 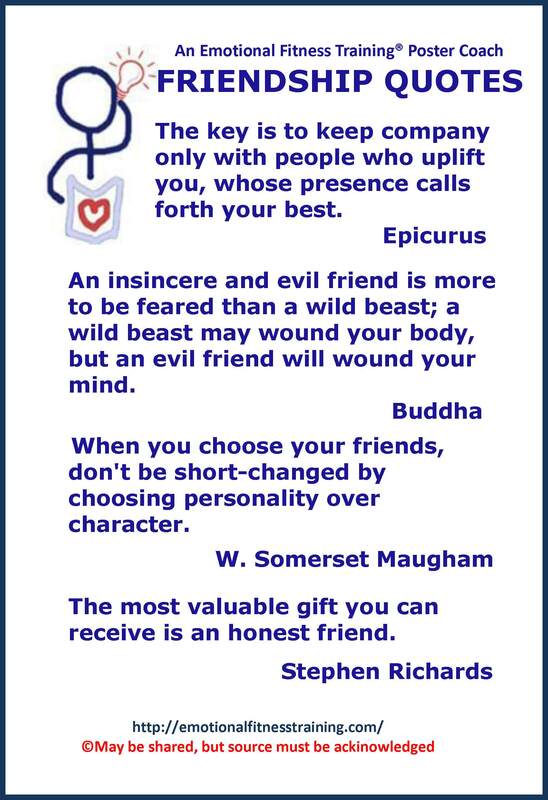 The second one has some quotes about friendship. Go to the to the EFTIStore to claim any of our other free Poster Coach. The posters should be printed up in color on card stock and posted where they will remind you what matters or to practice an Emotional fitness skill. When a friend or other loved one betrays, two steps help you stay strong. One is the ability to Think About What Matters. This means thinking about the balance between feeling betrayed and the meaning of the relationship to you personally. When it comes to children and family preserving the good in the relationship matters most. To preserve the good when loved one’s betray, means learning to practice forgiveness. Here are three steps in another Free Poster Coach that begin the process. Teach them to your children, practice them yourself. Finally, Thank you for all you do. I am particularly grateful to those who practice internet kindness by liking, rating, commenting, or sharing my posts. This blog post about friendship grew from this WordPress Daily Prompt: Why Can’t We Be Friends? Do you find it easy to make new friends? Tell us how you’ve mastered the art of befriending a new person. As usual I went astray from the question and did my own thing. Betrayal, however, is one reason we cannot always stay friends and Practicing Forgiveness a way we can move past hurt and stay friends. This entry was posted in Parenting Issues and tagged betrayal, children, Emotional fitness, Emotional Health, forgiveness, help for parents, Katherine Gordy Levine, parenting, Parenting advice, parenting tips, Thinking about what matters. Bookmark the permalink.